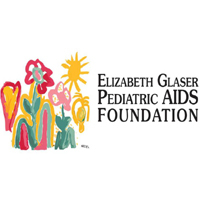 The Elizabeth Glaser Pediatric AIDS Foundation is a global leader in the fight against pediatric HIV and AIDS, working in 19 countries and supporting close to 6,000 sites around the world to prevent the transmission of HIV to children, and to facilitate access to services for those already infected. collaboration with other staff members to ensure that all Cap-TB project data well recorded in the system, design and review of different TB record and reporting tool, generate and analyze data and reports and presenting data to end user and monitor and evaluate Cap-TB project activities are performed in EGPAF Tanzania’s cap-TB regions with required standards. the DHIS, data capture and data management programs (Excel, Access, Power BI, etc.). motivation to acquire an in-depth knowledge of this field in a short time. thinking, problem solving and attentiveness to detail. The Project Coordinator Paediatric TB services, is a highly committed, self-motivated and result oriented individual. S/he will work at the ministry of health, (NTLP) to support, supervise and coordinate implementation of all activities related to Childhood TB in the country. S/he will be supervised by the TBHIV coordinator who serves as a National Paediatric TB focal person and receive TA from Senior Technical advisor TB services at EGPAF. S/he will be responsible to ensure that childhood TB services are effectively provided, coordinated, monitored and reported to MOH and donors. S/he will work closely with TB implementing partners, RHMTs and CHMTs to push the childhood TB agenda forward using new innovations in diagnosis and treatment of childhood TB. • Ability to manage multiple priorities and projects while working as part of a team. • Excellent oral and written English skills. The ECD coordinator will be responsible for closely follow up of overall Malezi activities in Tabora region. He/she will be responsible for planning, implementing and monitoring of Malezi II activities implemented in 82 sites in 3 districts (Igunga, Nzega and TaboraMunicipal). The coordinator will be the contact person in relation to ECD activities in the region working closely with R/CHMTs and EGPAF other projects. work closely with HIS, Research and implementation teams to ensure good coordination. Overall, the ECD coordinator will work closely with EGPAF’s other projects to ensure linkages and integration of services. and develop individual capacity building plans. managing child health, nutrition, and development projects. • At least two (02) years in a role that involved working with the government at regional or district levels and other stakeholders. • Knowledge and experience in child related projects and capacity building. • Good knowledge of basic IT skills including Microsoft word, excel, power point, and outlook and Internet). • Ability to coordinate and work as a team in the organization with an integrated approach. The Community Engagement Officer will work as a key regional cross cutting member of EGPAF’s technical team, coordinating and providing technical assistance to respective regions councils` facilities and communities to maximize comprehensive health services uptake, strengthening referral and linkages across service areas and retention into continuum of care for improved quality of life of clients and communities at large. He/she will be working close collaboration with EGPAF councils project coordinators across the supported regions, the councils community development officers, home based care coordinators, community health workers coordinators, councils HIV/AIDS coordinators, social welfare officers and other community stakeholders including IPs, CSO and CBOs to support implementation, supervision and monitoring of community activities that will increase access to health services at the community including strengthen linkages, referral systems, and client tracking and implementing community care models to improve access and retention into continuum of care. technical assistance to councils community stakeholders in implementation of ECD, HIV, TB and Family planning, Nutrition activities in the supported program regions, Councils and health facilities. malnutrition, HTS, PMTCT/EID, ART, TB and family planning). level such as ECD, ART, PMTCT, Family Planning, Adolescents and youth friendly services, Nutrition, TB and gender services. (CCD), HIV community family Planning, TB and home based HIV testing services. in the CV will contribute to the requirements of the position and references to EGPAF. Closing date: 08th January 2018.